Washable and corrosion free the C3235 has a 229 mm x 190 mm (9" x 7.5") platform and a bright red LED display with 13 mm (0.5") high digits. 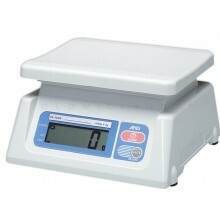 Simple to operate the keyboard has four buttons – off, on/zero, push button tare and function. 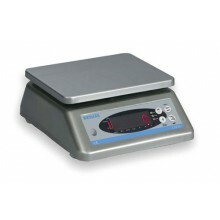 The function key gives access to the checkweigher set up for targets and tolerances, unit switching and count modes. C3235 has an auto off feature, which can be disabled, to switch the scale off after 10 minutes of inactivity. An audible buzzer is included which sounds when the weight is within the accept range – this can be switched off also. 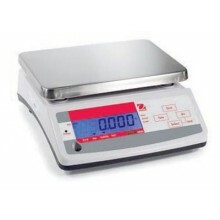 A battery charge indicator is built in to the display giving an instant check on the condition of the battery, the scale also displays battery low when recharging is required. 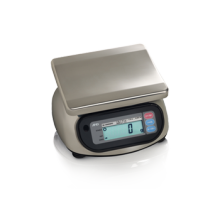 Totally portable the C3235 has an internal rechargeable battery which gives approximately 20 hours of usage between charges or can be operated direct from mains power supply. 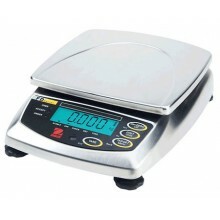 Available in a choice of 3 kg (6 lb), 6 kg (12 lb) and 15 kg (30 lb) capacities with resolution of 1 part in 6000 the C3235 is an accurate scale built to work in harsh, wet environments such as portion control, food processing, meat preparation areas, catering kitchens etc. 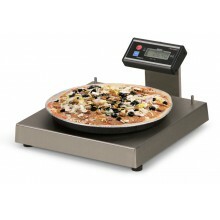 The Model 6112 is perfect for use in pizza parlors, sandwich and salad shops, bakeries, convenience stores, delicatessens, restaurants, bars - anywhere portion control is required to maintain product quality and save on ingredient costs. 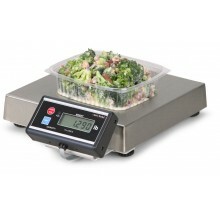 Get accurate weight measurements every time, while the innovative "touchless" zero mechanism increases operator efficiency, greatly extends life of the scale, and enhances food handling safety. Construction- Stainless steel weighing area with welded corners and full skirt around perimeter of the base. Heavy-duty load cell and load stop mechanism ensures long life. Power- 120 VAC (+10%, -15%) 60Hz (+/- 3Hz). Internally mounted adapter. Standard 3 wire with ground input.